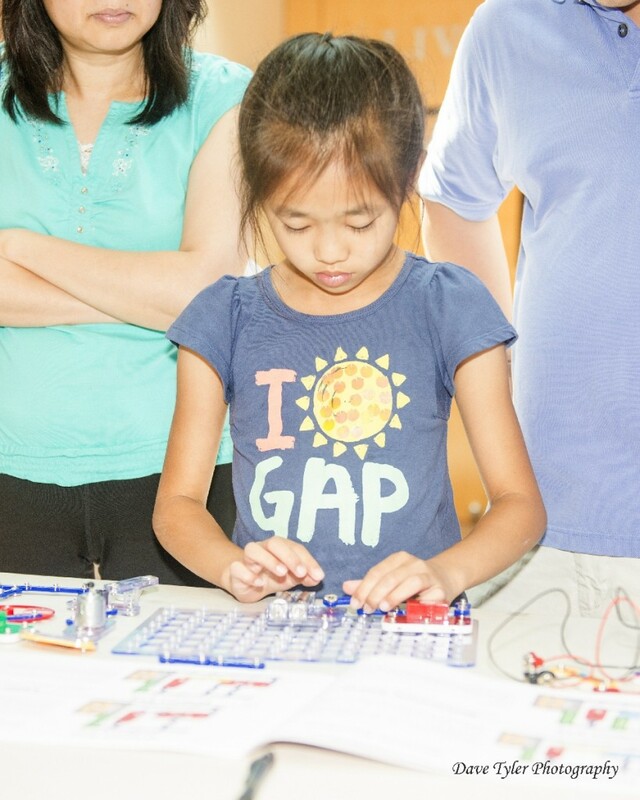 The year started off with the 2014 North Texas Regional Science Bowl co-hosted with the College of Engineering in UT Arlington on Feb 15, 2014 from 9 am to 2:30 pm. 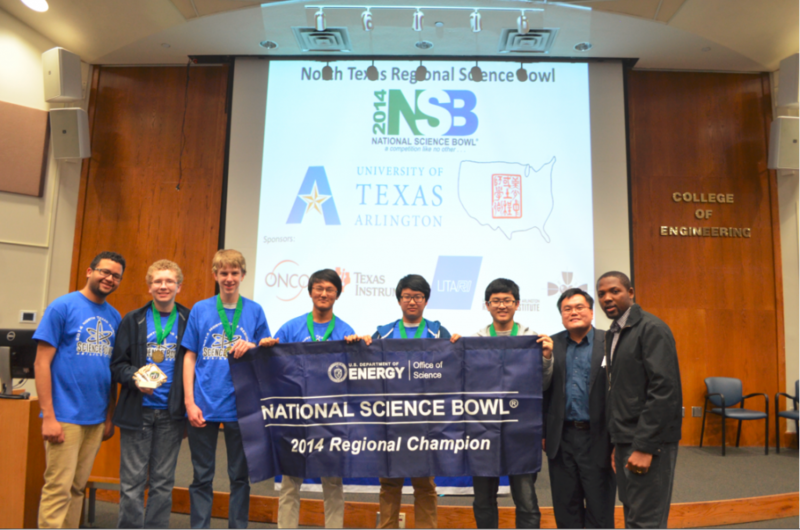 Congratulation to Paschal High School for winning the 2014 North Texas Regional Science Bowl. The competition was attended by about 150 students, coaches/teachers, parents and volunteers. 20 teams registered and 17 team showed up at the competition. The National Science Bowl (NSB) is an annual nationwide academic competition organized and sponsored by the United States Department of Energy. The main goal is to promote the science awareness related to energy to motivate the youths to tackle the energy issue in the nation at their early age. The students in a team of four (with one alternate) are quizzed in a fast-paced question-and-answer sessions similar to the TV game Jeopardy. A teacher will be assigned to be the coach of the team. The winning team of the North Texas Regional Science Bowl will be representing North Texas to advance to the national level competition in Washington DC. 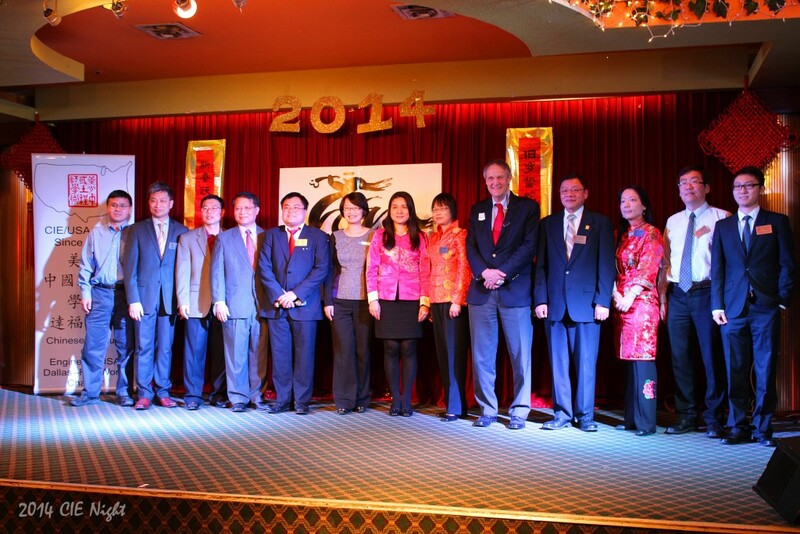 We then celebrated the Chinese New Year in the Annual CIE Night in Maxim Restaurant in Richardson on Feb 16, 2014. 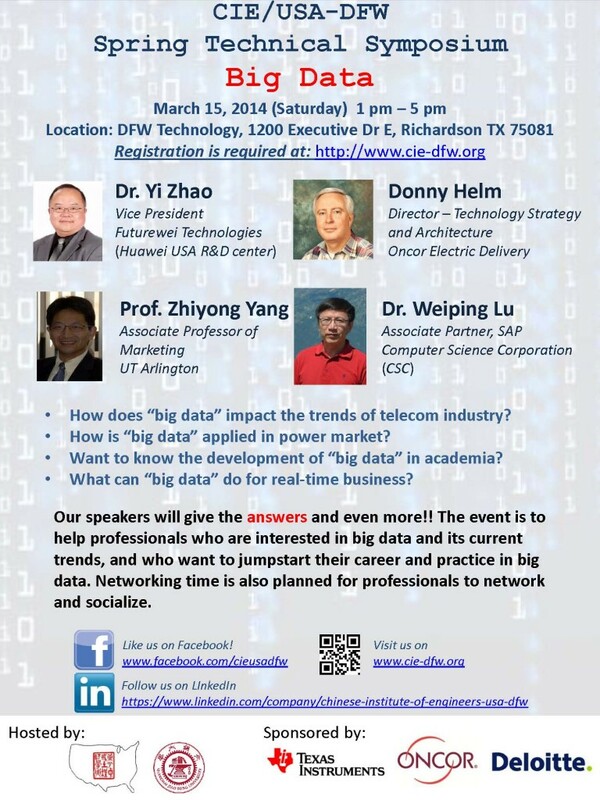 We then discussed Big Data in the annual Spring Technical Symposium on Mar 15, 2014 in DFW Technology. 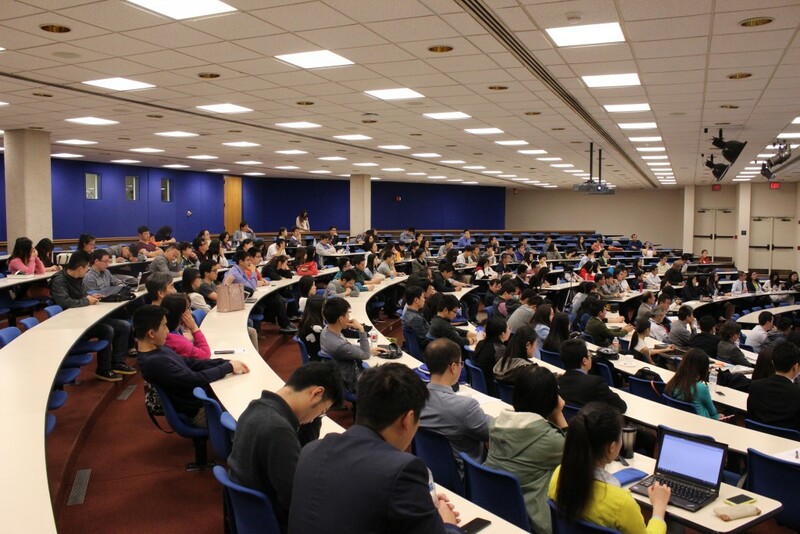 More than 120 professionals, young professionals and students attended the event. The Leadership Assessment & Mentoring Program (LAMP) held on Mar 22, 2016 at UT Dallas was a great success. The program was led by Elliot Zhou and more than 30 volunteers. The program featured the keynote speech by Shannon Freeze-Flory from TI, followed by leadership and mock interview sessions. 8 high ranked panelists were invited from TI, Oncor, AT&T, Cisco, Diodes, Transplace, CSC. 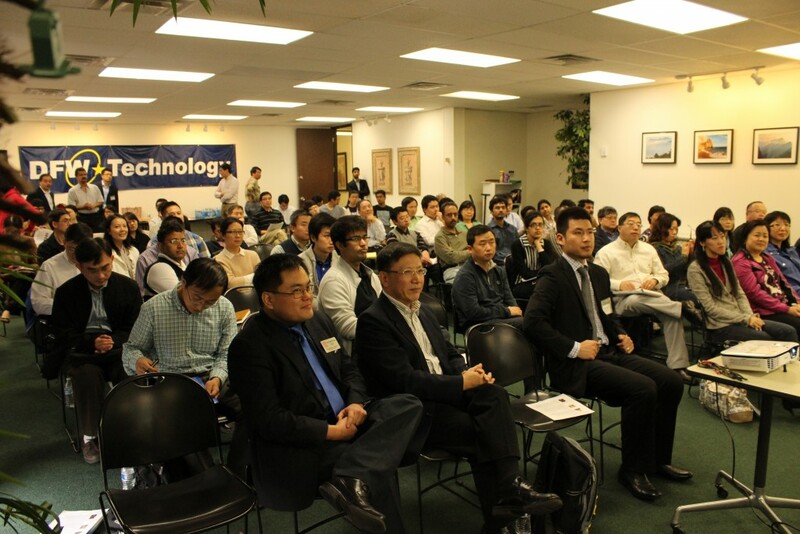 More than 250 people attended the event. 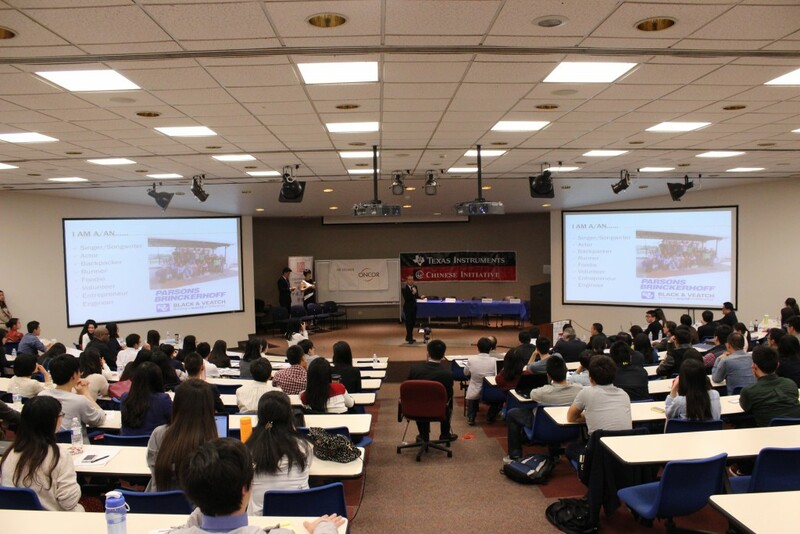 2014 CIE/USA-DFW Leadership Assessment and Mentoring Program (LAMP) – More than 250 people attended! 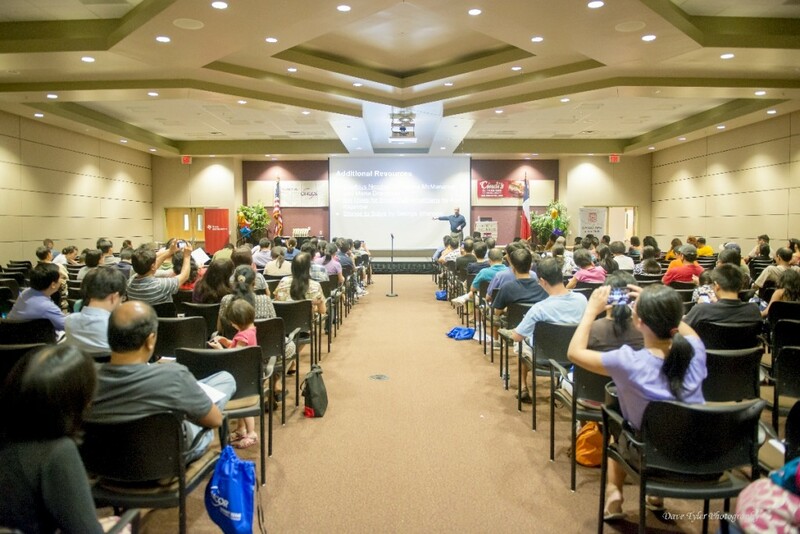 We then held another very successful MathComp/MathFun and parenting seminar Jun 7 at Collin College Spring Creek Campus. More than 250 students registered for the competition, more than 125 volunteers involved, and more than 400 parents, educators and sponsor representatives participated in various programs of the large event.